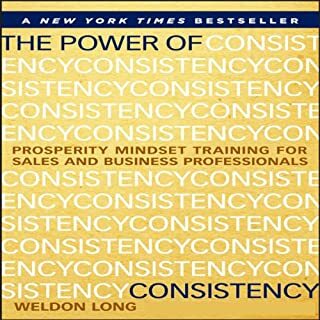 The Power of Consistency lays out the Personal Prosperity Plan, a simple process to create meaningful results by unleashing the power of focus and your subconscious mind. 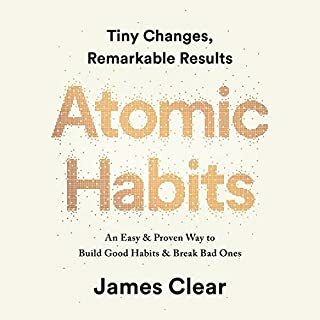 Taking you step by step through the FEAR process - focus, emotional connection, action, and responsibility - this audiobook will teach you: How to get focused on what you want; How to become deeply emotionally committed to achieving your goals. When Rick Van Warner found himself searching abandoned buildings and dangerous streets looking for his missing son, he had no idea that the synthetic, pill-form heroin that had snared his teen was already killing so many. In the years of pain and heartache that followed, as he tried to save his son from opioid addiction, Van Warner discovered what the American public is just now becoming aware of: Opioids prescribed for even minor pain relief are so addictive that even a few days of use can create dependency. What is more dramatic the codependency and enabling of the father or the son’s addiction? Have you ever wondered how a person becomes a "Power Performer" and lives an exceptional life? Do you know people who seem to lead a charmed life? Nothing ever seems difficult or complicated for them. They get straight As in school. They move into a fast-track career and advance swiftly. They effortlessly find a perfect mate to share their lives, and then raise a family of wonderful, talented children. Part-motivational manifesto, part-personal finance strategy, Matt Manero's You Need More Money pushes you to reclaim your dreams of massive wealth and gives you a roadmap to ramp up your income and savings. Serial entrepreneur and small business expert Matt Manero built his empire starting with nothing but a folding table, a phone, and an unwavering goal: I need more money. In polite society, we don't like to talk about money. But it's too important to tiptoe around. 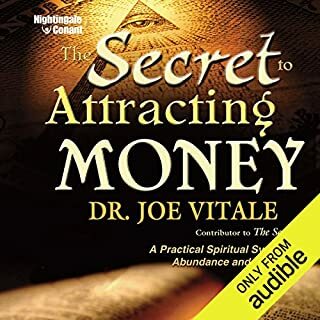 In this audiobook, you and Matt are going to cut the BS and get real. Weldon Long knows firsthand that Maui is nicer than prison. 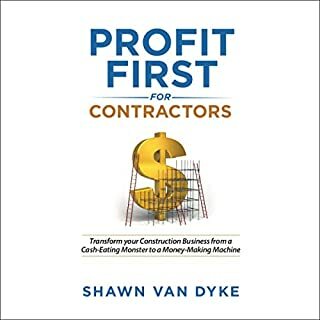 After 13 years of federal and state incarceration, he emerged a transformed man: a powerful speaker, driven motivator, and successful trainer/entrepreneur. Long holds a BS in law and an MBA in management, despite dropping out of high school in the ninth grade. Thank you Weldon for sharing your inspiring life story. You certainly put things into perspective - what a life transformation. Thank you for sharing so much detail about your past, I was immediately engaged. I am happy for you and all you have accomplished. Thank you for being the catalyst helping me get things back on track. 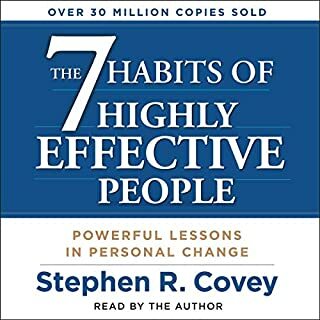 This book is right up there with "How to Win Friends and Influence People" by Dale Carnegie. It is that good! 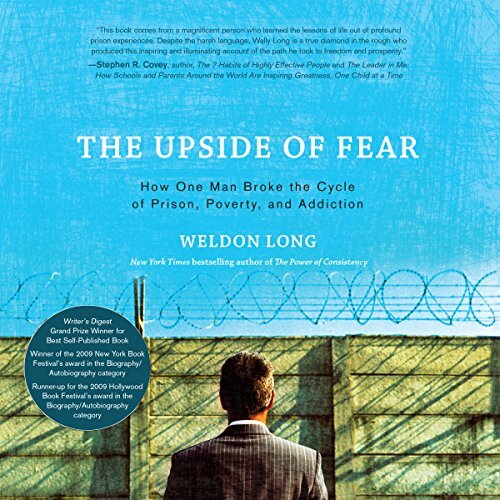 the 80s music make it slightly comical, but the Upside of Fear is a gut wrenching soul searching tale of Weldon Long explaining where he came from. this story being a breath of fresh air from so many authors who just talk about success but not the struggle to get there and who they were prior. great story and sometimes couldn't stop listening (would listen all the time even in bed). Loved every second . You will enjoy the challenges and triumphs. If you are looking for perspective...this book provides it. Weldon’s book was truly inspirational and needed. 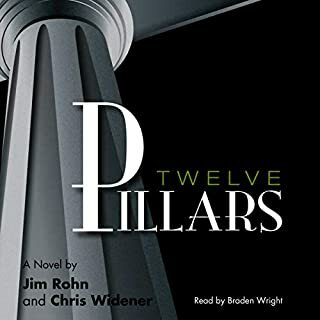 I have read many books from people such as Tony Robbins, Wayne Dyer, Napoleon Hill and countless others…Weldon’s book ranks at the top of the list. The reason being is he doesn’t spend anytime talking in the clouds or being esoteric, he gives you every detail and account of his life story - the good, the bad and the ugly - and what he was experiencing along the way. He then gives you the step by step process of how he changed his thoughts, the tools he used and the times he implemented	his new found knowledge. It really is a road map for anyone who wants to accomplish anything! The story is so real and touching that only someone has been there and done it can get such a deep understanding of life and how to live it to the fullest. Great listen and very uplifting story. Close to my heart as a Colorado native and a person who loves to live on the upside of fear. Great book, inspirational and thought provoking to do the right things. One of my top ten. Thanks Weldon Long. If he can do it I can do it!! The book is an uplifting story, it teaches us that we’re in charge of our own destiny. Although we will all face setbacks and hardship, we can change ourselves for the better.